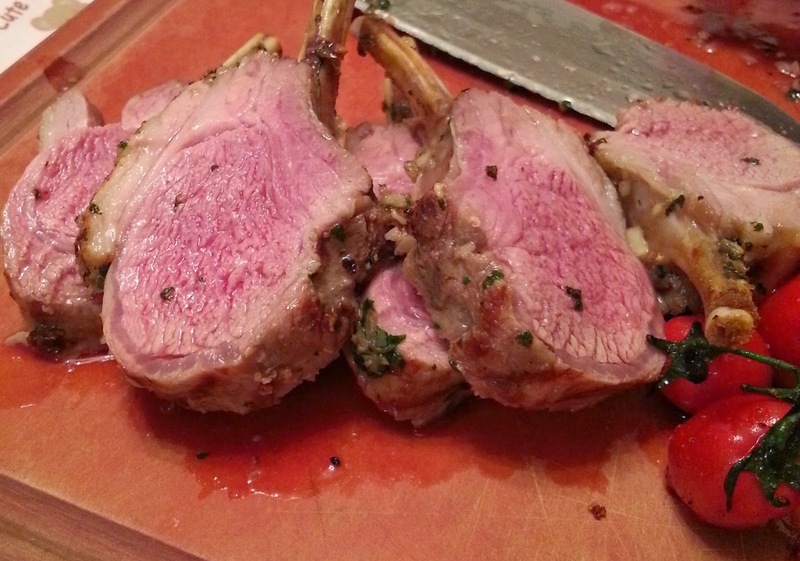 I was able to get hold of a very nice piece of welsh rack of lamb the other day. I decided to marinate it simply with some garlic, shallots, parsley, sea salt and olive oil. I wanted to infuse the flavours quickly and so sealed the meat in a ziplock ba, ensuring all the air was pushed out of the bag. The rack was seared and popped into a hot oven 180 C for 30 minutes. It came out perfectly, medium done and the flavours were very delicately infused in the meat. It the simple process of creating a vacuum with a ziplock bag that enabled this.